Gourmet mouse traps door Davide Luciano en Claudia Ficca. 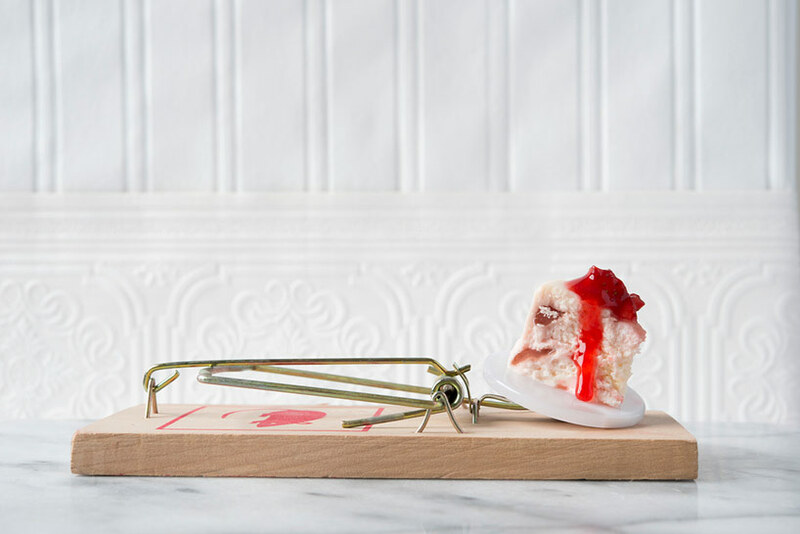 As the name suggests, this photography series showcases mouse traps baited with a cheesy dish fit for the pickiest mouse. In the series, mouse traps are outfitted with savoury and mouth-watering dishes rather than the standard cheese. The inspiration for Gourmet Mouse Traps came to Davide after a week-long cheese advertising shoot in NYC. Food stylist Claudia Ficca embraced the challenge of making miniature dishes. “Making mini versions of these foods required preciseness and concentration, I definitely made use of my fine tip tweezers for this job. From conception to creation this project was so much fun” says Claudia. Photographer Davide Luciano changed his light set up for each scene, while prop stylist Maeve Sheridan redecorated the set. “It was important for me to create a specific mood for each shot” says Davide. 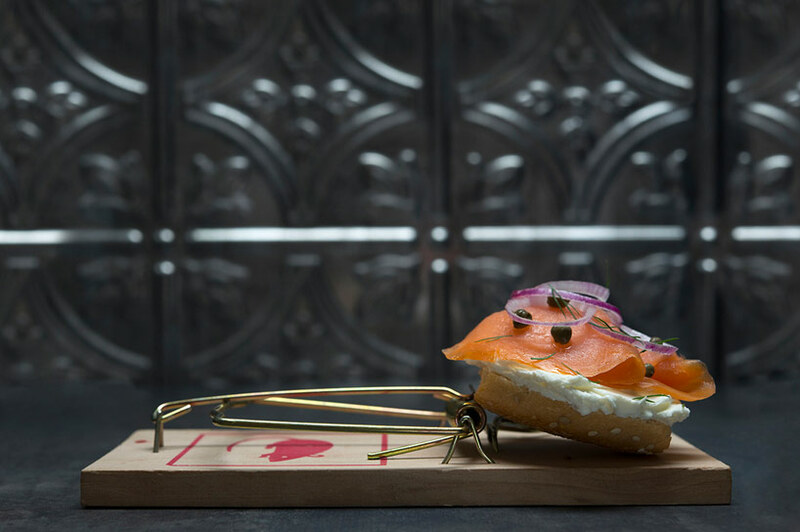 Gourmet Mouse Trap is a series of ten photographs: Strawberry Cheesecake, Bagel & Lox , Cheese Board, Grilled Cheese, Spinach and Ricotta Lasagna, Bagel & Lox , Nachos, Onion Soup, Mac & Cheese, Pizza, and Poutine.